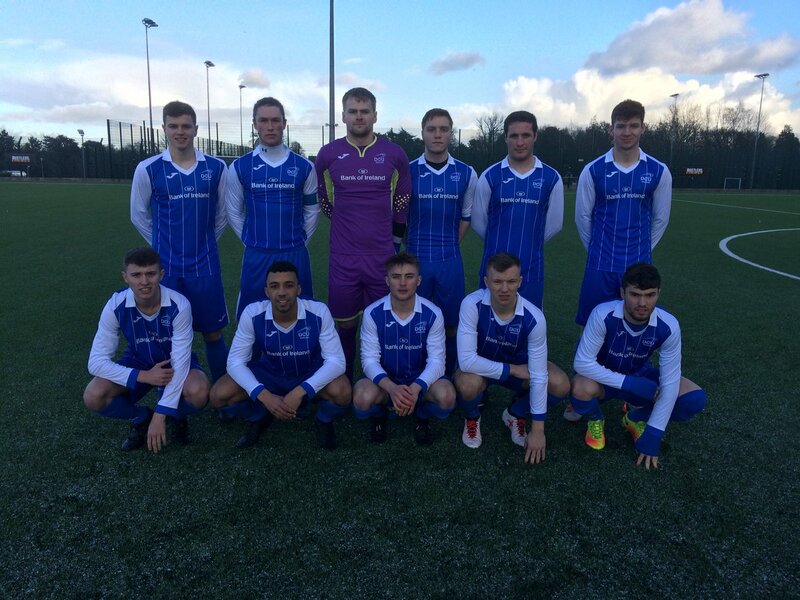 The DCU Senior Soccer team, with Kearney as captain. Image Credit: DCU Soccer Club. Gavin Kearney missed out on DCU’s penalties loss to UCD in the CUFL Division One Semi-Finals due to a concussion. He picked up the injury just a day after returning from the Collingwood Cup defeat in Belfast while playing for his club, St Mochtas. It’s part and parcel of the life of a student athlete, fixture pileups and injures are inevitable. Kearney also missed their League quarter-final win over UL due to a hip flexor injury. But defeat this year has not gotten DCU’s captain down, who firmly believes the senior side are good enough to bring home major silverware next season. To lift a trophy in his final year, his first since his Harding Cup success with the university, would be some way to go out. “Well, going into final year my main aim is to get my degree under my belt,” Kearney began. “But as it is my final year playing football for DCU, I’m really confident of going and winning one of the competitions, if not both. Self-belief has never been lacking in Declan Roche’s panel. Despite the defeat to UCD in the Collingwood Cup semis, they could put that defeat behind them and draw inspiration from their league victory in Belfield. “The lads went to Belfield confident as we had already beaten them 1-0 there in the league stage. “I was following it myself and it was tough to take, especially conceding the equaliser so late in the game. “But the lads were excellent against a strong UCD side who had only put us out of the Collingwood the week before, and to respond and fight like they did shows just how good a side we are,” Kearney said. The side fell at the semi-final hurdle in both competitions for the second year running, but it never once shook Kearney or the group, who maintained their mental toughness to the end. The coaching staff posted a note up in the changing rooms before the Collingwood clash, and it would be the last thing the players saw before taking to the field. Among the many instructions and well-wishes scribbled down, the one word that jumped out, written in block capitals and encircled in the centre, was “believe”. Belief is something the side never lost, and Kearney thinks they’ve made massive strides forward this season in terms of their confidence – and while a first Collingwood Cup final eluded them this year, it won’t be much further away. “I think we were excellent in the Collingwood this year. “Obviously, a great start on the Monday against Ulster University, and then to go out to UCD in the semi-final was hard to take but it was one of them games which could’ve went either way. “We had opportunities to take the lead before they controversially scored and had we taken them it would’ve been a very different game. “Unfortunately we went out of both competitions at the same stage last year, to UCC, but I think the main difference was the belief we had in ourselves. “We had a strong league campaign this year including beating UCD in Belfield, and we finished two places better than last year giving us home advantage in the quarter finals.